Accountants for Dry Cleaners - Don't Wash Away Your Money ! Running a dry cleaning business usually means long hours, short breaks and working weekends. You’re also surrounded by harmful chemicals and large machinery that when faulty, can be extremely dangerous. It’s safe to say that dry cleaners don’t have it easy and definitely don’t have time. We are accountants for dry cleaners. 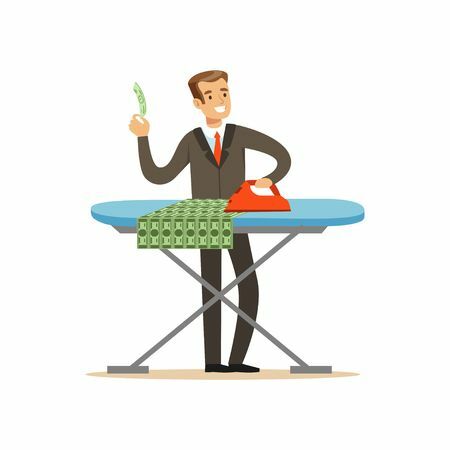 When running a dry cleaning shop especially, there’s a lot of finances that need to be considered. Renting your space, insuring everything, keep to safety regulations and keep customers happy. Keeping accurate track of your sales and losses is time consuming and not something you want to be doing at the end of a long day. If you’re a dry cleaners, whether you operate seven days a week or just rely on a drop-off service. Miranda Management and Accountancy Services Ltd are the accountants you need to keep your finances in check. We offer a variety of bespoke services including business audits, solving taxes and keeping track of your cash flow. With monthly and yearly assessments and reports, we are always transparent with you on how your business is doing. Not only that, the team at Miranda Management and Accountancy Services Ltd are full of experience and knowledge in bookkeeping for dry cleaners and over the years we have learnt what works. We may not know the industry as good as you do, but we’re pretty close! Each month and day can be unpredictable and the amount of money you make changes all the time. By hiring us, you will be able to see where you’re losing and gaining money and figure out why. Miranda Management and Accountancy Services Ltd believe in good communication. Hence, the moment we see big changes in your finances, you will be the first to know. This type of service could help you predict the future of your business and give you good idea on what action to take next. With a dry cleaning business also, it is important you always have the funds for the insurances you need and emergency repairs. At Miranda Management and Accountancy Services Ltd we will make sure your finances are managed in a way that a surprise repair or rise in costs is no big deal. Sound good? Feel free to contact Miranda Management and Accountancy Services Ltd today. Our team are ready to answer all your questions and no task is too much for us. We will offer you a bespoke and personalised service to you and your industry using our insight and experience. When you decide to work with Miranda Management and Accountancy Services Ltd, be sure you’re putting your finances in a trustworthy place.